Pro tip: Mildly relevant stock photos like this one are best left out of your emails. What was the worst mistake you’ve ever made (in regards to mass email)? Up next was a round robin to discuss best practices on a smorgasbord of mass email topics. One idea is to use the first name of recipient in the subject line (but don’t use if your names are all in CAPS otherwise it looks like you’re SHOUTING AT THEM! You don’t always have to make the subject line directly related to the content inside- make it mysterious! Keep in mind the character length for mobile- the first few characters are really important so don’t throw them away on things like the name of your organization if name is in the from line anyhow. Biggest take-away: spend as much time on subject line as text in newsletter! Write it 25 times if you have to. Highest open and click rates? 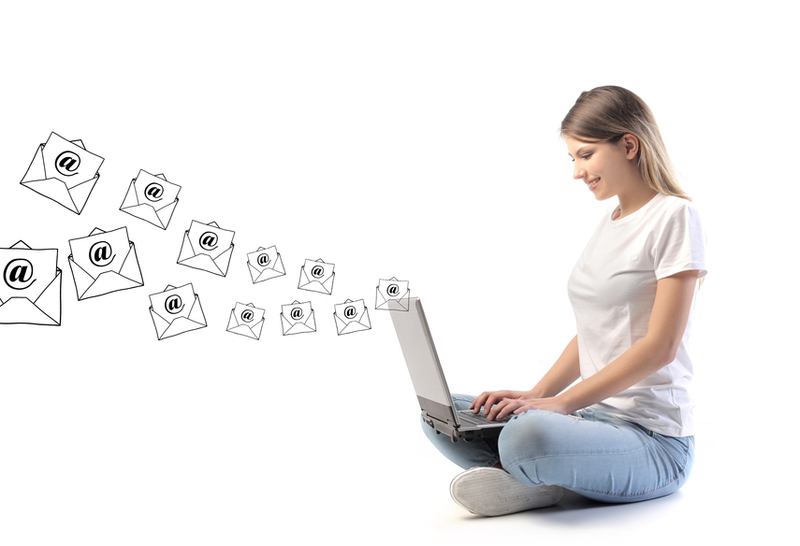 Look at your click rates for each email and see what’s high and low. Don’t worry so much about the benchmarks in the sector as it’s really about your list quality. Another thing to keep in mind for a national organization: staggering emails by time zone. A/B testing: who’s doing it? The group didn’t have a lot of experience doing A/B sending as it takes considerable amount of time and you need to have a couple of thousand for the test. And you have to have a decent open rate. Don’t stop sending emails towards of the end of the year- that’s the most critical time for fundraising. People need reminders to get their donations before the new year. One thing that works well is to send a series of emails that connect thematically – spreading out a story over several emails. Some email providers will send emails to people who opened email, follow up 2 weeks later. “Trigger events” – more sophisticated email providers do this. Cons- these can end up being very formulaic. There’s nothing worse than signing up for an email newsletter and getting nothing for 3 months because emails are only sent quarterly. Welcome emails are good so at least people get something when they sign up. At the very least make sure people get a confirmation email when people sign up. Don’t wait until the end of the month if you have something urgent to tell people. Send out separate emails instead of sending out one email with tons of content that takes an hour wade through. At this point we’re competing with corporate marketers, so don’t be afraid of frequency. Who should emails be from? Open rates are calculated by people downloading images in emails – so open rates aren’t that great if you’re just looking at hard numbers. Look at trends. One funny finding is that sending emails during working hours is not always the best practice- one example given –an email was sent at 7pm on a Friday and open rates remained the same as emails sent on Monday morning. Food for thought: a lot of people are on social media/email on weeknights and weekends when they actually have time and get less emails overall. Tip: Don’t put so many links to outward sites…you want people to click where you want them to go- ideally on ONE thing. For newsletters- focus on what’s at the top. What do you really want people to read? Put it up there. What are other organizations you follow that have good email newsletters? Some in the group appreciated emails that are simple messages – just the logo and text. Single column layout is the trend = best for mobile. Three columns = bad for mobile. Concise, well-written headers and calls to action are more important than images. Mildly relevant stock images on newsletter are not so appealing. Better to use nothing than something boring. If it’s scaled down so tiny is it even worth including? Probably not. Has anyone changed emails based on analyzing metrics? A few people said yes, they decided to spend more time on certain things like subject lines. General consensus: it’s hard to know what really worked if you’re not doing A/B testing. For some organizations it doesn’t really matter how much you change things up- people will open no matter what because they are interested. In sum: metrics are maybe not that important. None of us knew of any GREAT email providers. They change all the time and each provider has its pro/cons, does some things you want and some things you don’t. One con with Vertical Response is that if someone opts out of the list they have to contact VR to be opted back in. Selecting a provider could be a meetup in and of itself. Marta passed around “4 Ways to make your message better” – a super useful tool to keep in mind when you’re crafting your emails. Check it out here. At the last Cause Communications Community Meetup (#CCCMeetup? Anyone? ), we talked through some of the best practices for-profit marketers are learning over at the Haas School of Business at UC Berkeley. I was thrilled to find out that many of my meetup colleagues have conducted marketing research of their own, either by hosting focus groups or running surveys on behalf of their organizations. We discussed some of the strategies that can improve results and make the process more valuable. Why do marketing research at all? That’s the question you must have the answer to before you start any marketing research project. Only undertake a project if its results can influence and improve changes in your marketing program. This conclusion filters down to even a single survey question – only ask a question if the answer you get is one that you care about. Here’s a top eight list of nonprofit marketing research tips, based on crowd-sourced advice from last night and from Haas’ “Marketing Research” course. 1) Figure out the problem you are trying to answer and then make some hypotheses. They don’t call this research for nothing people! This is science, or something that looks like it anyway, and if you don’t have a problem, or some prospective answers, you’re going to spend a whole lot of time chasing something that might not exist. Spend time talking through the answer you would like to get. The answer should be an actionable statement that will actually change the way you do your marketing (or run programs, or whatever it is you are using the research for). For instance, in the case study from our meetup, the marketing research resulted in a prioritized list of Bay Area events that the nonprofit should attend to attract new constituents. 2) If you are running a survey or organizing a focus group, take a bunch of surveys or go to a focus group. Nothing will serve you up a good amount of respect for the process than having to endure someone else’s tedious survey or poorly moderated focus group. And this is where you’ll learn exactly how to do it right – for instance, at what minute (Minute 3? Minute 5?) does your attention begin to fade on a survey? Or what techniques are particularly effective at increasing the brainstorming and synergy in a group discussion? 3) Start a nonprofit marketing advisory committee. I used the case study of my own organization for this tip – I work for a green building organization that focuses on schools and classrooms, and I have a group of three architects, three schools facilities directors and a product manufacturer, who serve as advisors for my marketing program. They can act as an informal focus group where I can temperature test ideas, but they are also helping me to develop a contact list from their network of others who are going to help me develop our new messaging for schools. Getting a mix of your audiences into a committee like this, even if the group is just three or four people, can give you invaluable insights just by picking up the phone. 4) Don’t bias survey results by asking the wrong people. One attendee at the meetup had a newsletter that goes out to 60,000 people via snail mail, as well as a Facebook page with 2000 followers. As tempting as it is to ask your 2000 facebook fans what they want in that newsletter (They are right there! I’ll get the results electronically! ), these fans don’t represent your audience. So do a small survey if you have to (who wants to enter all those written results by hand?) but you’ll get a more representative result if you do. 5) Start a survey with an interesting question that has an easy response. What’s worse than a survey that doesn’t ask the right questions? It’s a survey has the wrong answer choices! Nothing frustrates a survey-taker like the feeling that their answer is not represented in the choices. Answers that are not mutually exclusive, or embed two answers in one, can frustrate the subject into quitting the survey altogether. If you start noticing a majority of folks dropping off your survey, figure out where they are getting caught up and try rephrasing the question AND the answer. 6) Schedule in pre-testing time for your survey. This is the old “would your grandmother get this?” trick. Have friends and family members take your survey before you release it. Then ask them about the experience – when did they get tired of taking the survey, what questions did they want to skip? I also like sit down with a couple of trusted people and actually walk through the survey with them. Discomfort around unclear questions is easy to spot, and if you have to explain anything to them, you haven’t done a good enough job with the question itself. 7) Don’t use a survey when there are other ways of getting the information. Surveys are so hard to do correctly that it is worth spending time seeing if there is existing research that can answer your questions. If your questions are website-related, work with your web developer to devise some a/b tests, rather than trying to get people to answer a question about the website. Real-life “experiments” can be more effective at prescribing a path forward than survey outcomes. For more on these types of experiments, check out www.whichtestwon.com. 8) Use the results of your focus groups, surveys and other demographic research to develop non-profit personas. Nancy Schwartz at gettingattention.org has done some great work on this, and I’ll let it speak for itself. I especially like her tip of bringing your finished personas on posters into your communications meetings. They’ll be your new best (imaginary) work friends. Use Google Analytics to link the activities of your communications team to the overall benchmarking of the organization. Add a question at the end of your webpage that gives people an action. Then you can use the related searches module in Drupal as well. Change the homepage – did you see this on the New York Times? It can also be used as an anecdotal way to tell where people are coming from. In Google Analytics, remove the IP addresses of the people in your office – add just your network IP; remove people’s most used IP addresses (communications director’s home IP, for example). Track your PDF downloads through the events section of Google Analytics: https://developers.google.com/analytics/devguides/collection/gajs/eventTrackerGuide. Another suggestionswas to create a URL tracker for the PDF? All these sites have some free part of their freemium model that offers good insights for nonprofit marketers. Use Compete.com to look at peer organizations. Their free account lets you see data on over 1 million websites, discover related competitors and get monthly emails on your competitors. Use Alexa.com to track your website over time to see the overall ranking, or its popularity overall. One suggestion was to track it every Monday, for example, and see if you rank is going up overall. SEOmoz.org has a domain authority that gives results like the old Google Page Rank. It is “SEOmoz’s best prediction about how a website will perform in search engine rankings”. Okay, here’s the 30-second pitch on Balsamiq Mockups, the new tool that is changing the way I communicate ideas with… everyone! I did a demonstration of Mockups at March’s Cause Communications Community Meetup in Berkeley. 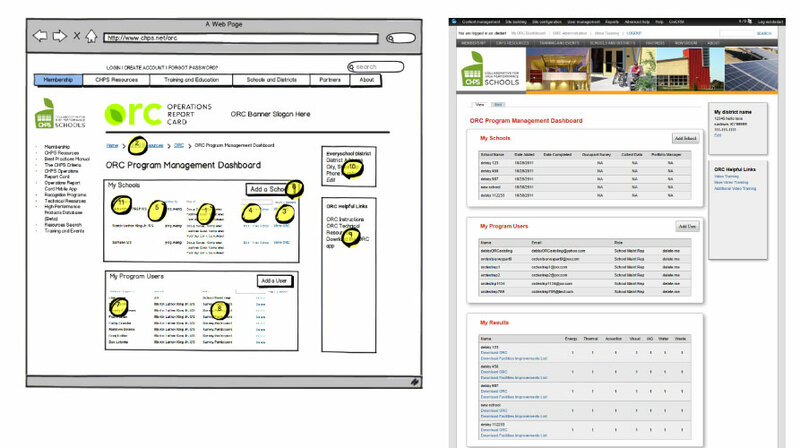 Balsamiq Mockups allows you to quickly create a “sketch” of a complex idea or concept that you need translated into another format. Currently I’m working with a two web developers, two graphic designers and an app developer for a project for my organization. I needed a simple way to create “wireframes” or mockups of what I needed. In the past I had create word document narratives of what I wanted (shudder!) as well as physical sketches and even Adobe Photoshop files to communicate my ideas. Needless to say, these strategies were time consuming and often resulted in non-ideal outcomes. Now that I have Balsamic Mockups, which is free for non-profits and other do-gooders, I can easily create a PDF that shows the functionality and organization that I need for a webpage. For the app we are working on, I used Balsamic to create a screenflow and functionality sketch for my app developers. You can see below a screenshot of the “Dashboard” I mocked up and the dashboard that our web developer created. Next the web designer is going to have at it to pretty-fy what our developer has created. The only challenge that I see with Balsamiq Mockups is that it can stifle the designers creativity a little bit, so use it with a grain of salt! But I find it to be a useful tool for making communication with designers much more efficient and effective. If you are a do-gooder of any sort (non-profit, charity, open-source contributor, you get the idea), email us with a short blurb and we’ll send you a license, FREE of charge.